Located in one of the most tourist-favorite streets in Saigon, Bui Thi Xuan street, Saigon, District 1, Vietnam. Townhouse 50 Saigon is a stylish hotel which is uniquely designed to offer you the highest traveling experience in Ho Chi Minh City. 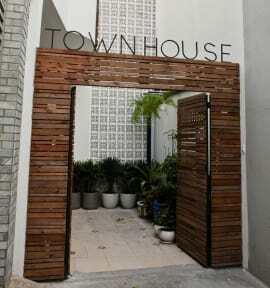 We were very pleased with the hospitality and service that the Townhouse 50 had provided! The staff were exceptionally helpful and offered great suggestions on where to go and what to eat. We would gladly stay here again! The location and security is pretty good. Staff are helpful. I had good sleep on all nights I was there, which tells you something. It can get noisy but didn't bother me. I will consider for my next stay. This hostel was perfect for me, basic, clean, comfortable and in a good location. Easy 20 minute walk to most sites and close enough to the busy areas for food and shopping. Staff were really friendly and really helpful. Also great airport transfer service is available for $10. My flight was early and I had to check out and leave at 4am but this wasn’t a problem at all, they organised everything and I was picked up right from reception hassle free. 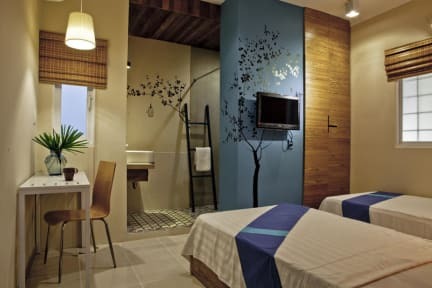 My private room was lovely and clean with a spacious private bathroom. No hot water. Breakfast was quite tasty and staff was helpful with city questions. A little pricey but felt very safe. Lovely staff, lovely room and great location! Loved the staff, very helpfull on where to go. Well located, not far from Market. Can get a great $10 transfer to and from airport. Odd stairs and no lift. Difficult to carry luggage in the room. Nice breakfast and simple place.